Hop with me! Let's head on down the bunny trail, go ahead, chase my tail! 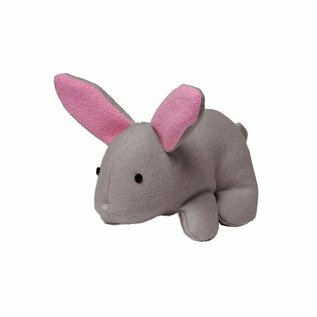 The Jax and Bones Woolie Bunny squeaky toy is made using boiled wool that has been dyed using non-toxic vegetable dyes. 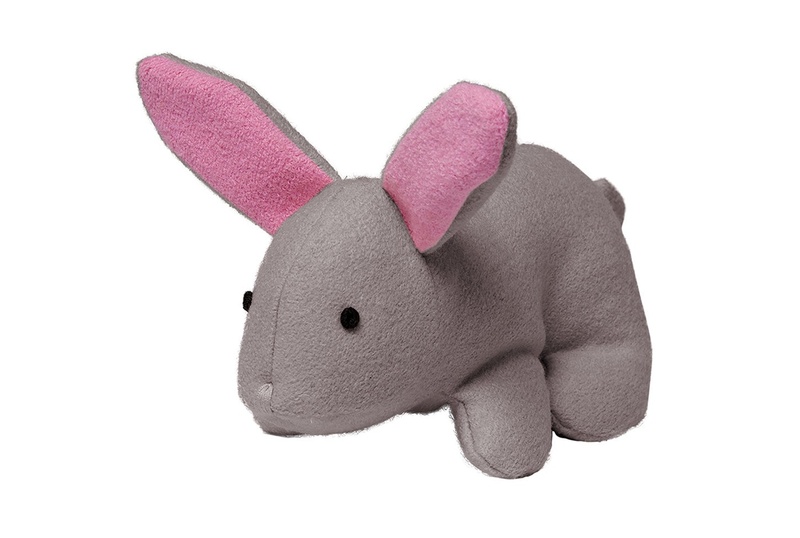 This plush toy contains one deluxe squeaker and is constructed with double reinforced seams. Perfect for dogs who like to squeak and cuddle their toys. **DOGS SHOULD ALWAYS BE SUPERVISED WHEN PLAYING WITH TOYS. ** Woolie toys feature polyfill stuffing and squeakers. If your pet is an aggressive chewer, these toys are not recommended. Woolies are for dogs who like to snuggle and squeak without destroying. Though tough, they are not indestructible. Dyed using AZO-free dyes. Machine wash and dry. Made in China.